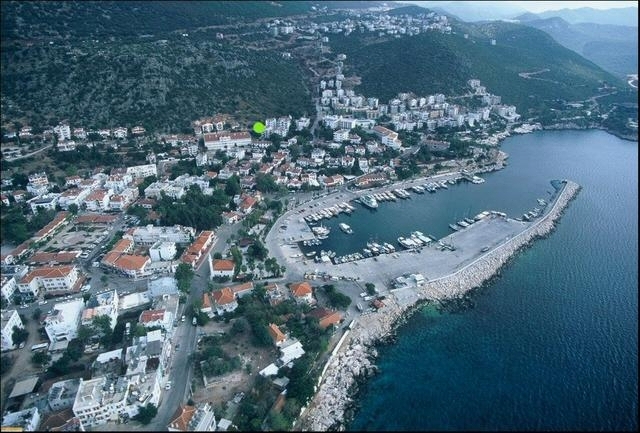 Click above for Discounted prices of Hotels in Turkey. Save up to 75% on your reservation! WHERE CAN YOU PLAY GOLF IN TURKEY? Map of Turkey in Europe. 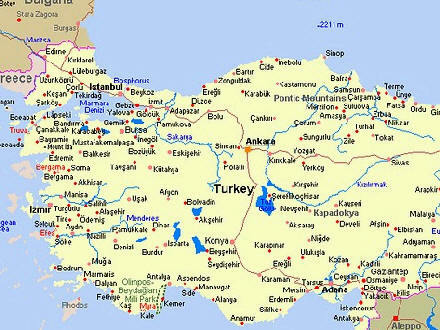 Turkey is 1565 km (970 miles) east to west and 550 km (400 miles) north to south at its widest points. 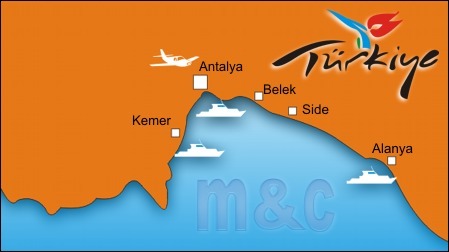 -Turkey is located in two continents, %3 in europe and %97 in Asia. Turkey neighbour with Greece, Bulgaria, Syria, Iran, Iraq etc. The smaller northwestern portion (Thrace) is part of Europe, while the larger portion (Anatolia) is part of Asia. limate The Aegean and Mediterranean coastal regions experience cool, rainy winters, and warm (often hot) dry summers, with moderate precipitation. Spring and fall are considered ideal times to visit these areas as temperatures still approach the high 70s and rain fall amounts are low. In contrast, the Black Sea coastal region is generally cooler throughout the year and has the heaviest rainfall in Turkey, averaging 55 inches per year. The central Anatolian Plateau, blocked from the sea by high mountains, has very cold temperatures in the winter, and extreme, almost unbearable heat in summer. Rainfall is light here, but winter snowfalls are heavy. The far-eastern highlands have hot, dry summers and very cold winters with heavy snowfall.